In a skillet, over medium-high heat, cook ground beef and onion until the beef starts losing the pink color. Add mushrooms and cook for 2 minutes. Drain. Add taco seasoning and cream cheese, cover and simmer until cheese is melted. Blend well. Set aside and cool completely. While the ground beef is cooking, cook the pasta shells according to the package directions; drain and set the shells out individually on a baking sheet so that they don’t stick together. Spread salsa on the bottom of a 9×13 inch baking dish. Stuff each shell with the meat mixture and place shells in the baking dish open side up. 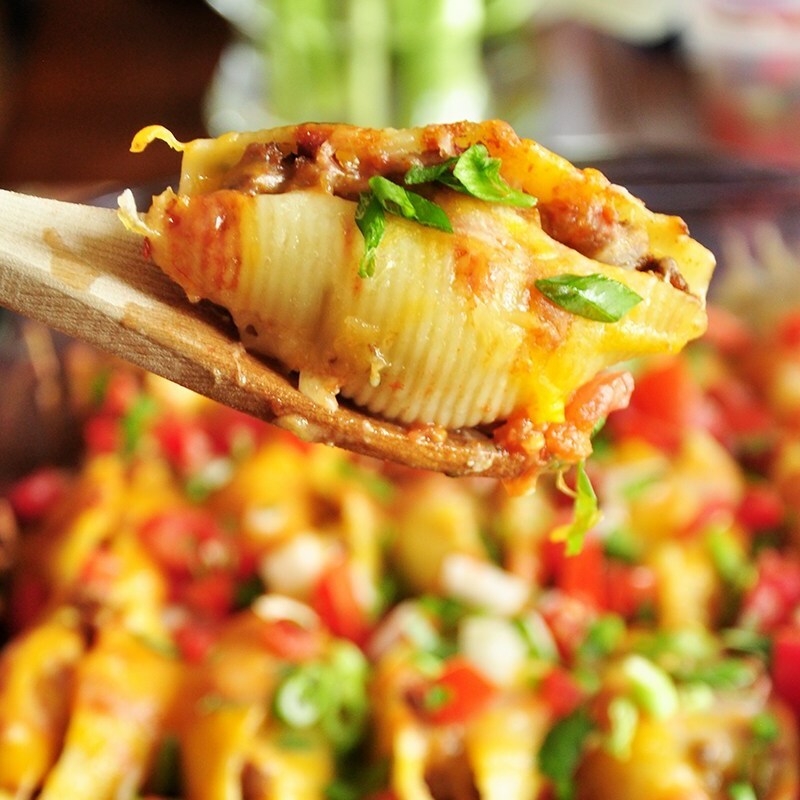 Cover the stuffed shells with taco sauce. Cover with foil and bake for 30 minutes. After 30 minutes, remove the foil, add shredded cheese and bake for 10-15 more minutes. Top with green onions and serve with sour cream and/or pico de gallo if using. Enjoy!! 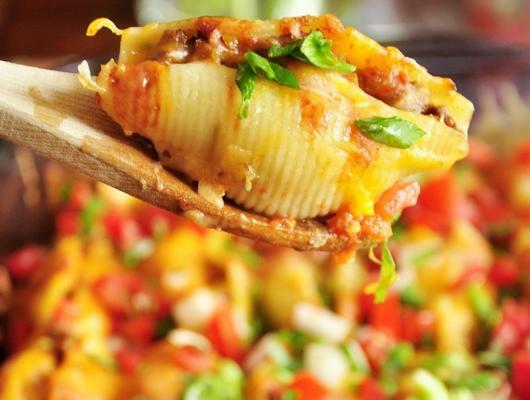 These Mexican stuffed shells are a fun twist on your traditional Mexican meal: full of spice, packed with flavor, and guaranteed to be a crowd pleaser.